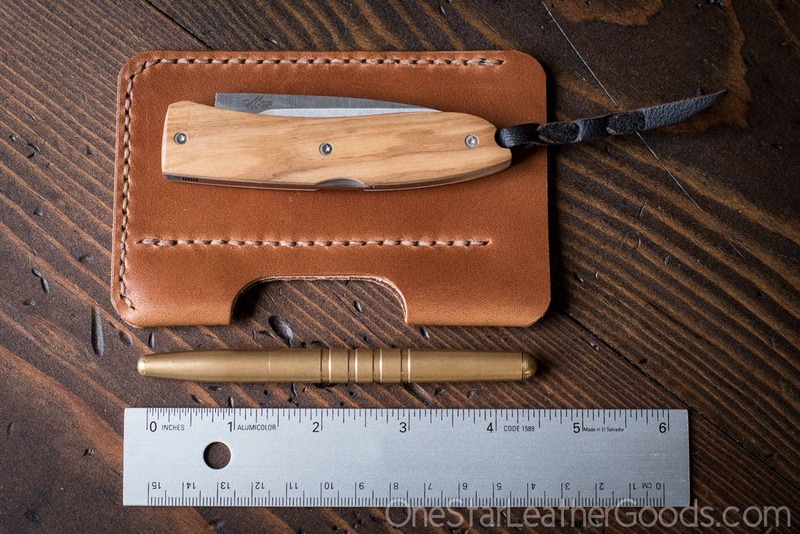 A simple EDC case to protect your pocket knife and pen in USA veg tanned harness leather. For knives up to 4.5" closed. 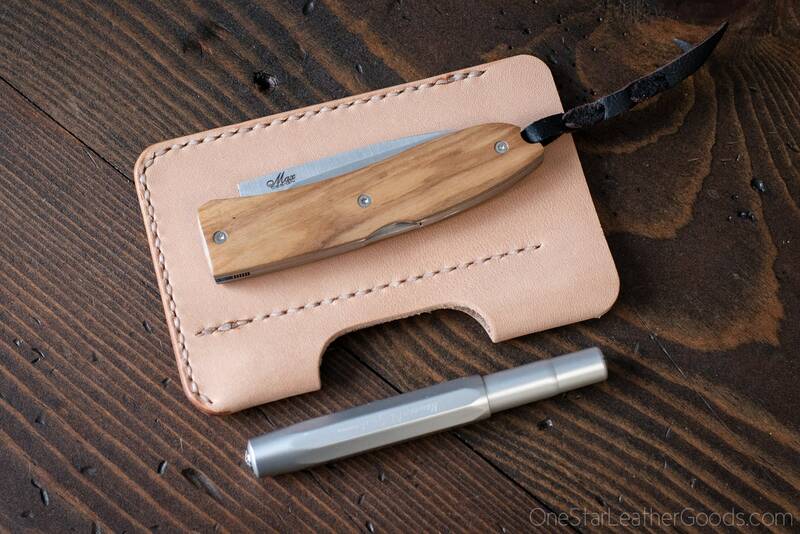 The pen may be mightier than the sword, but now you don't have to choose and can carry both in one simple package. 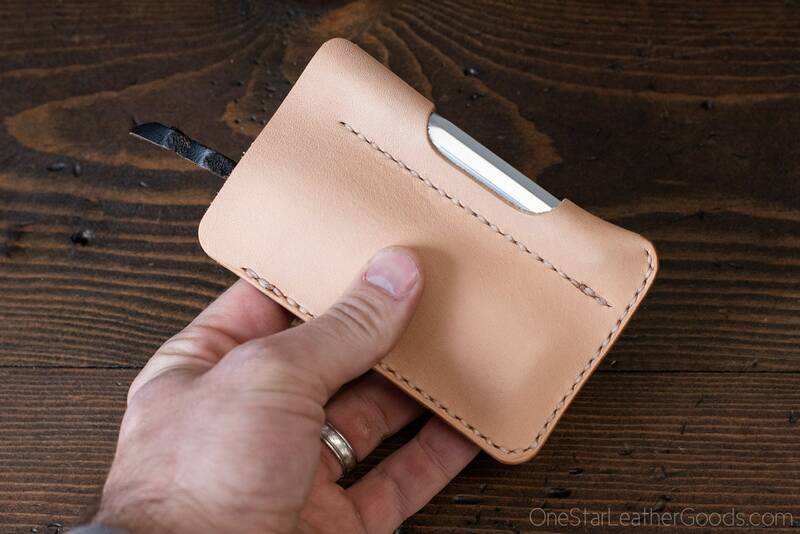 This holds your pocket knife and your pen. 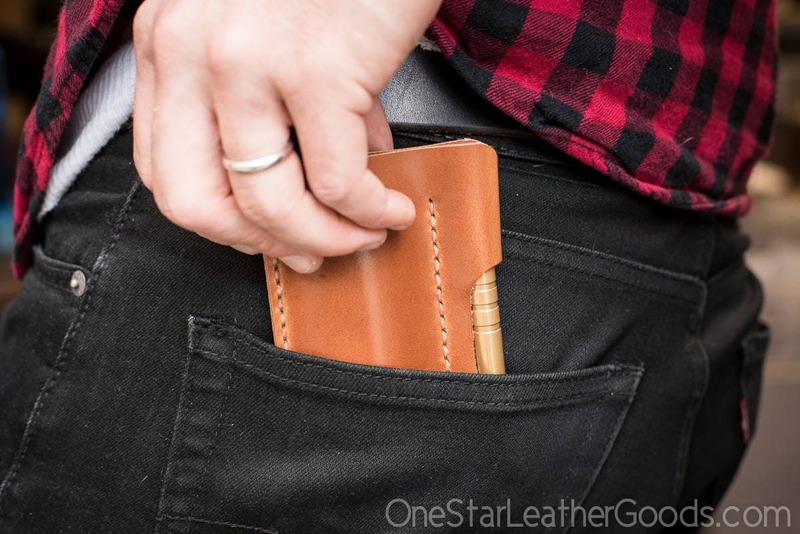 It was designed for everyday carry and is comfortable in a pants pocket or bag. 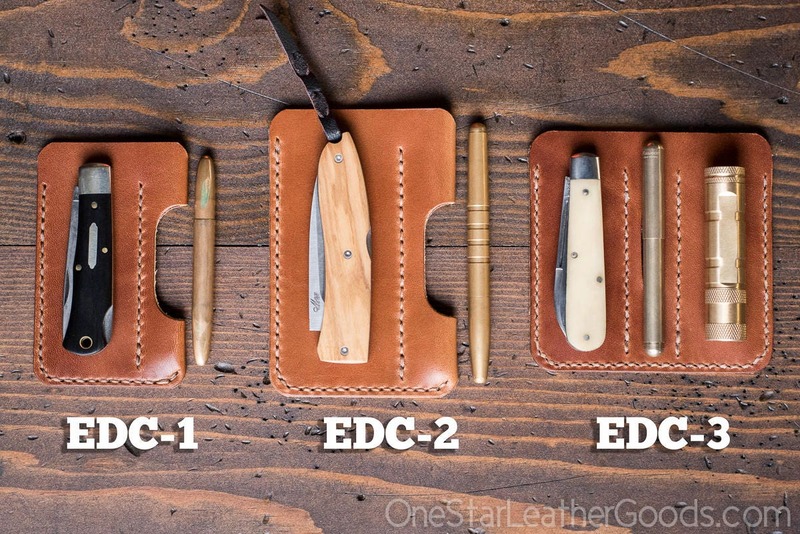 See my other listing for the smaller EDC-1 and the pen/knife/flashlight EDC-3. This will fit small to medium sized pens up to about 14mm in diameter and 125mm in length. If it is a little longer, it still works, it will just stick out a tiny bit on the top. 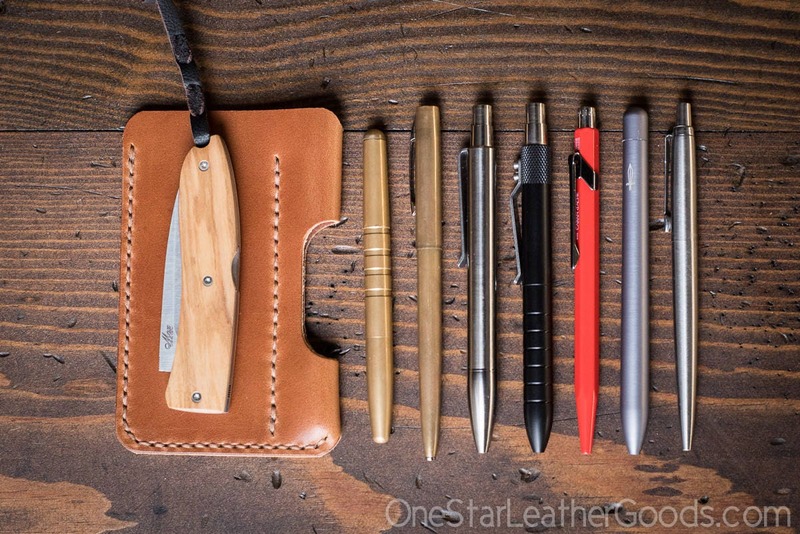 All of these are a great fit: Fisher Space Pen Cap-O-Matic, Machine Era brass pen, Baron Fig Squire, Parker Jotter, Karas Customs EDK, Tactile Turn Shaker, Caran D'Ache 849, Kaweco Sport. Fits knives up to about 4.5" closed length. 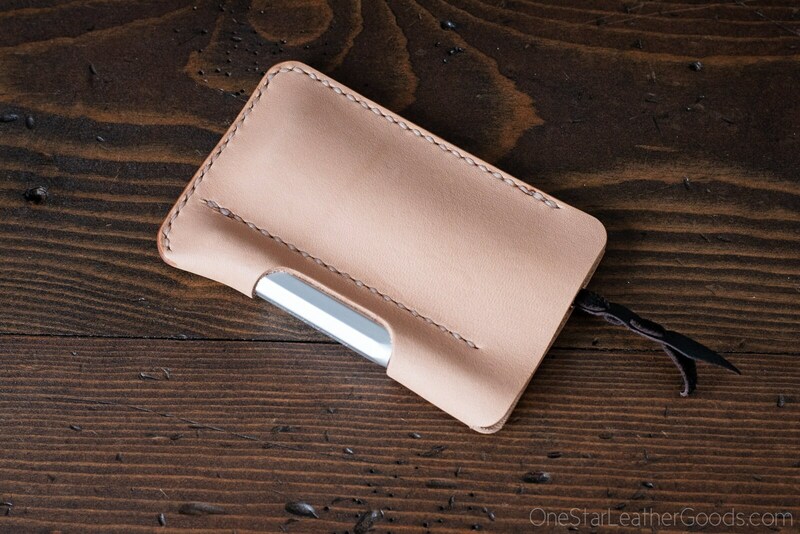 Wickett & Craig's harness leather is simply awesome. It will mold to the shape of what you feed it and will age beautifully.